Hello OpenCart Community !! Well I have a little problem. Is my first time with one ecommerce software like opencart. I have a client with a YAHOO hosting and I need to install opencart in this hosting. I created a mysql database and followed the steps for install opencart with a CPANEL but YAHOO hosting don't have a CPANEL and at the end I uploaded all files with filezilla but doesn't work and I can't figure it out how to make it work! Please I need some kind of tutorial to install opencart in YAHOO HOSTING!! I need urgently some kind of help!! I don't think you can setup anything other than a Yahoo store with them. I move my clients off of Yahoo if I run into that issue. They are a pain to deal with. I know! I hate yahoo hosting! they have an incomprehensible control panel. I Never find anything in this crap hosting. But I need to find a solution because my client bought the domain name and this hosting with yahoo for a year. I need to figure it out how install opencart in this kind of hosting. Even I have to create multiple databases and I don't know how to create a second database. Or where it comes into php myadmin. 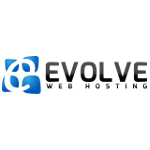 I have a hosting in arvixe and hostgator but I don't know if yahoo give me the posibility to link the domain name with another hosting account in other company. Any Idea to link the domainname in yahoo with arvixe hosting for example?? leosaballos wrote: I know! I hate yahoo hosting! they have an incomprehensible control panel. I Never find anything in this crap hosting. But I need to find a solution because my client bought the domain name and this hosting with yahoo for a year. I need to figure it out how install opencart in this kind of hosting. Yeah you should be able to change the DNS settings to point to a different host.